When the nerve tissue inside your tooth begins to degenerate a root canal is required. Without this treatment, the infection can result in an abscess. 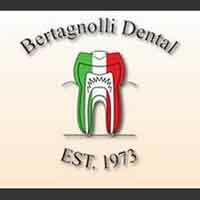 At Bertagnolli Dental, we have helped our patients with root canals and Endodontic problems. We are an oral surgery dentist in Westminster you can trust for the utmost in dental care. There are many reasons why a tooth may become irritated such as decay and trauma. A root canal will save both your tooth and the tissue surrounding it. Oral surgery enables you to keep your tooth and prevent further damage to surrounding teeth. In addition we have a comprehensive list of restorative, general and cosmetic dental services to meet the needs of your entire family. You will always receive the best in patient care. When you need an oral surgery dentist in Westminster call and schedule your appointment today.